Pick ‘n mix French Stamper Box! Our self-inking teacher stamp box sets offer great value for money by vastly reducing the cost per stamp - now with our unique Pick ‘n Mix option they represent an even greater saving and ensure that every stamp included is what teachers need. Our new Pick ‘n Mix option is the solution! Just like the sweet shop mix, you can choose whatever you want in your box! (Yes, to us stamps are as tempting as sweets - we love them (and they're much better for our teeth!!!)). 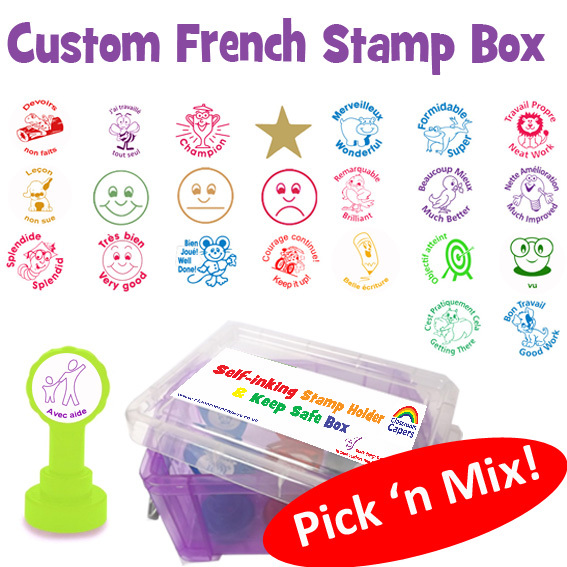 With this new option, teachers can choose 6 self-inking designs to fill one of our lovely purple, stamp storage and holder boxes from our ever growing selection of French marking, praise and image only self-inking stamps. 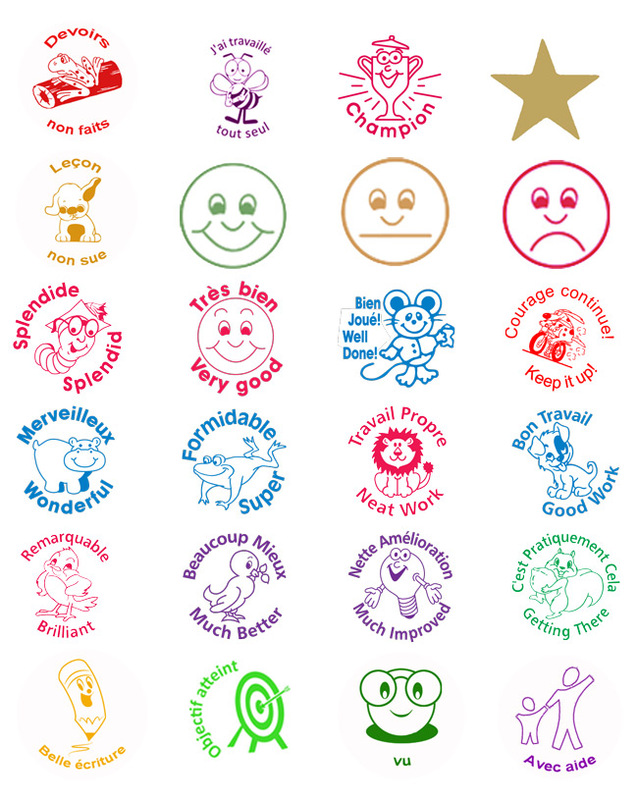 Our range of French language stamps is continually growing so we'll ensure our new stamp messages and designs are added to this Pick 'n Mix list for you to choose from. Incidentally, if you don't see a stamp message or stamper design you need, just drop us a note and we'll look into it for you (and send you a free one as a thank you for your suggestion).